Poster of The Atom Room, a play by Philip Braithwaite that comes with a virtual reality experience on show at Festival for the Future. Hurtling 150 years – via a virtual reality experience – into an imagined future Wellington where climate change and quakes have blitzed the city is one of the creative ways Massey University is making a mark at the upcoming Festival for the Future. The virtual reality concept was created as a prologue to The Atom Room, by playwright and Massey tutor Philip Braithwaite. Headlined as ‘an epic love story set within a dystopian nightmare’ the play has just finished a successful season at Wellington’s Circa Theatre. While love is at the heart of the play, virtual reality evokes the work’s environmental and ethical references, resonating with topics on the agenda of the festival, which aims to empower young leaders of the future. 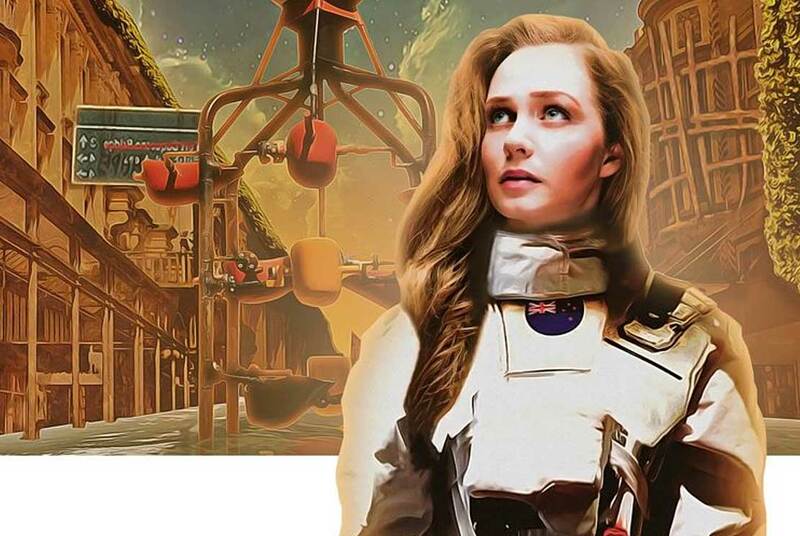 In the play, two protagonists are separated across the cosmos, with one based in a new human settlement on Mars and the other back on an Earth in ruins. Mr Braithwaite says the virtual reality scenes depict Wellington in the aftermath of rising sea levels, a nuclear blast and a major quake. The virtual reality experience, created by Tony St George of Polytronik VR with concept designed by director Lyndee-Jane Rutherford and her husband Bevin Linkhorn, will be at the Massey stand as part of the festival marketplace of stalls and displays. It is just one of the ways that Massey is contributing to this year’s festival organised by charitable trust Inspiring Stories for a new generation of leaders, as the only tertiary education sponsor and led by the College of Humanities and Social Sciences. 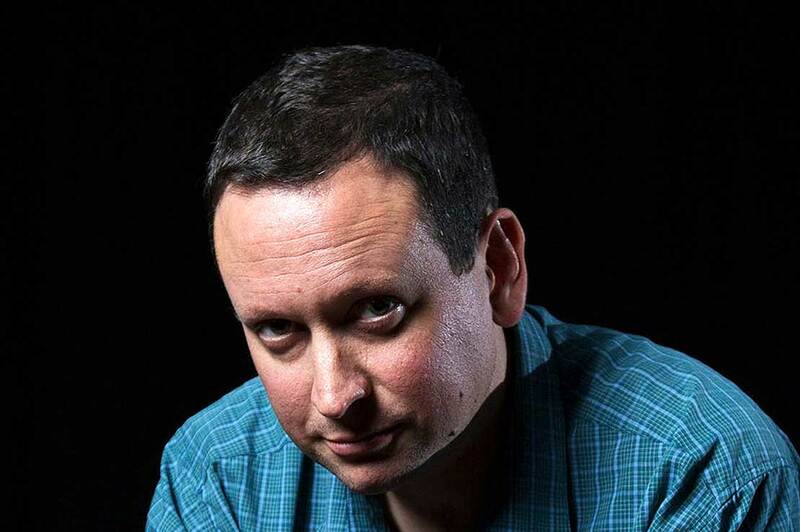 Between 1500 and 2000 young people from all over New Zealand are expected to attend. 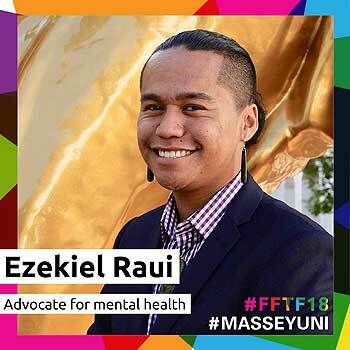 Massey staff and students will be guest speakers or panellists addressing a diverse range of social, political and environmental issues, including Bachelor of Business Studies student Ezekiel Raui. He will take part in a panel discussion on youth mental health and wellbeing. He was recently presented with a Queen’s Young Leaders 2017 award at Buckingham Palace by Her Majesty Queen Elizabeth II for his work with Tu Kotahi, a peer support programme for young people set up in the wake of one of the nation’s biggest youth suicide clusters. Bachelor of Arts student Whaiora Patrick, from Kawerau, will take part in a panel discussion on child poverty. She is an advocate for mental health awareness and suicide prevention and is passionate about helping those who are less fortunate, especially youth. She joined Inspiring Stories’ Future Leader Programme – part of Inspiring Stories’ campaign leading up to the festival – so she could find pragmatic solutions to address the lack of support and resources for youth, as well as many of the other issues facing her community. Professor Meihana Durie, head of the School of Māori Knowledge: a guest speaker at a session titled: Our roots – the history and cultural context of what makes us who we are as a nation today. Among other topics at the conference are; liveable cities, leadership for global change, the future of work, emerging high-tech revolution, gender issues, growing social enterprise, next generation philanthropy and impact investment, health and wellbeing, mental health and suicide prevention, disability and inclusion, action for climate change, building relationships in a diverse society, sustainable farming and new ways that millennials are doing things.